BELLEVILLE – Belleville city council has voted seven to two to not release all the details of the deal which brought the Belleville Senators to town. The motion was put forward by Coun. 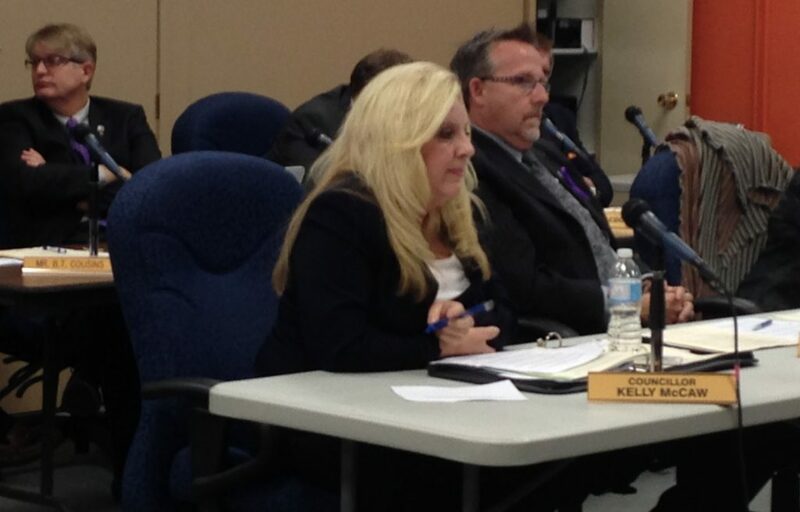 Kelly McCaw, who originally voted against bringing the Sens to Belleville. “We are accountable to the taxpayers. If I go to purchase something I want to know where my money’s going,” McCaw said at Monday’s council meeting. “That’s why we’re elected. We’ve been elected to represent the taxpayers and the money we collect from their taxes,” she said. Other members of council said that while they had nothing to hide about the deal, they didn’t want to violate a non-disclosure agreement the city signed with a third party as part of the deal. “If we go against that we could be facing a serious legal rebuke, and possibly even a lawsuit,” said Coun. Jack Miller. But in a scrum after the meeting he said that he understood McCaw’s position. “When you have silence you have questions,”Miller said. Mitch Panciuk was the only councillor besides McCaw who supported releasing the details of the deal. “I stand for making it public,” Panciuk said. “City council needs to stand up and say there’s a right way and a wrong way to do things,” he said. Panciuk suggested that at the very least council should release a redacted version of the deal with all of the information that it’s allowed to disclose at this point. Mayor Taso Christopher said that some information will be released to the public in the future, but he gave no time frame as to when that would be.